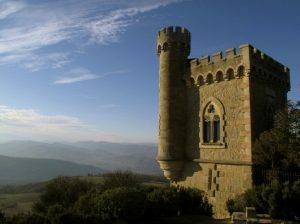 Within the rugged mountains, deep gorges and lush valleys of the Pyrenees lie energy lines that form an ageless landscape imbued with the mysteries of the Isis tradition, the Essenes, Druids and Cathars, as well as our beloved Mary Magdalene. The healing springs, caves and grottoes where she lived and taught will be your own sacred landscape on this deep and joyful journey to awaken and live from your true Divine Heart. 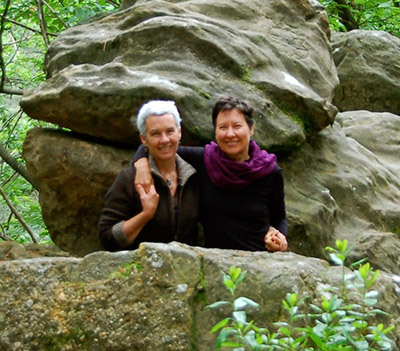 Join spiritual tour leaders Jane Elworthy and Jacqui Bushell on this journey of a lifetime! 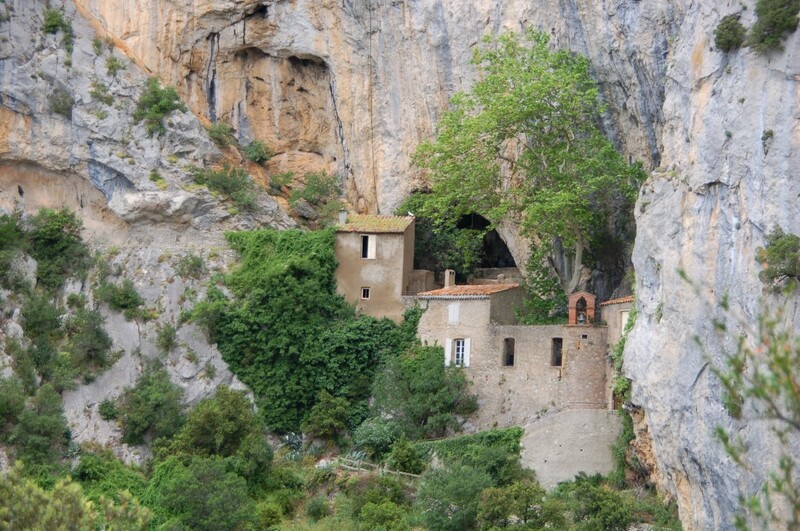 11 nights accommodation at Hostellerie de l’Eveche, Alet le Bains. While it’s not necessary that you’re very fit, there will be walking on most days. The terrain varies from level walking through forests, navigating a few rocks, to steep (though not particularly difficult) walks up to Montsegur and Puilaurens. If you have any medical conditions, please let us know. Your personal travel insurance is essential for this journey. The cost of the retreat, $4485, is based on twin share. If you’d like a single supplement, the cost is an extra $380. The single rooms in particular are simply furnished and not particularly large, but each has it’s own bathroom. The grounds, by the beautiful Aude River, are superb. Because of the powerful nature of this retreat, we only take a maximum of 11 women on this journey, and so it’s essential that you pay your deposit of $1000 as soon as you register to secure your place. You can then pay the balance in full, or in a couple of instalments, with the final amount being required by April 17th 2019. We only take a maximum of 11 women on this journey. Please make contact and we’ll have a chat and ask you to fill out the brief questionnaire on the bottom of the Tour Information form. We’ll then send you registration forms and ask you for a deposit to secure your place. Your deposit is used by us to secure accommodation, and is non refundable by our hotel. If you cancel prior to 8 weeks before the retreat, your deposit is non refundable unless we find someone else to take your place, but we will refund other money paid. If you cancel 8 weeks or less before the retreat, no money can be refunded unless we can find someone to take your place. We understand that there’s a lot to organize when setting out on a sacred journey such as this. We’re here to help! Feel free to contact us with any questions. Come meet your fellow Magdalene journeyers, either in person or by Skype for those not in the Sydney region. This is an opportunity to ask questions, perhaps organize meeting up earlier in France with other folks, and share a yummy supper together. More information later for those wanting to link up by Skype on the evening. Jane and Jacqui welcome you on this very special journey! Are you feeling the call of the Magdalene? Under Tour Information you’ll see a brief questionnaire. We ask that you fill this in and get it back to us. We just need to know that our intention for this special journey and your needs are in alignment. Once we’ve contacted you and all is ok, we’ll ask you to pay your deposit of $1000 to secure your place.